My baby is born and the nurse passes him to me to hold for the first time. I’m overwhelmed with immense joy. She tells me it’s time to try and feed. I choose to Breastfeed. So I hold my baby close and help him try to latch on. The process of feeding started out the same as with my first. 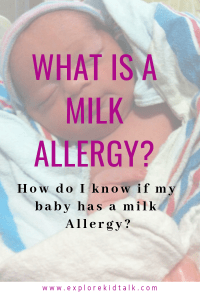 Unfortunately, I didn’t know that my baby had a milk protein allergy. I want to share with you the ups and downs and how I learned to deal with a milk allergy. Milk allergy in babies is more common than I thought. Milk allergy in babies is the most common allergy at this age. One of the worst feelings is when your child is suffering and you don’t know how to help them. I watched my son choke night after night. I listened to him cry because he was still hungry. 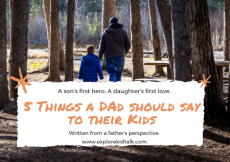 It broke my heart that I didn’t know how to help my son. What was wrong? What could I do to fix it? As your baby starts to grow, you are going to want to know the stages and milestones. 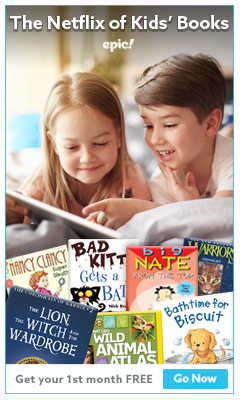 Sign up below to download easy reference guides for your babies development. Get a language reference sheet and a movement reference sheet. 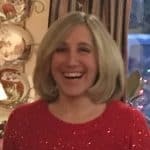 Written by a Special Education Teacher who specializes in child development. All new parents struggle to find what works and what doesn’t. Teaching the baby about day and night is a priority. You are trying your best to take care of your newborn. My baby would eat, sleep and poop as all babies do. I Breastfeed during the day and used a bottle at night. The feedings and schedule went on day after day. Yes, he would eat but then most of it came back up. Feeding didn’t get easier. My son was spitting up almost everything he ate. Every feeding I would cover myself in a baby blanket (burp cloths were not enough). Doctors said he had reflux. He slept on a slight incline. We learned later something else was causing the reflux. We continued with the feedings and the full cover up and tried what we could. Then at night, a new symptom started. He was chocking and gagging every time he would lay down. Again, we were told its reflux. Keep the baby upright 20 min after feeding. How am I supposed to do that when we want him to go back to sleep? During the day it was fine to wait 20 min before laying down, but what about night time. Things weren’t getting better. He was barely sleeping. Not that he was always fully awake but was fussing, gagging or choking. It’s impossible to sleep when you’re terrified for your baby. When he would wake up your first thought is to feed and then we would start the exhausting procedure over again. 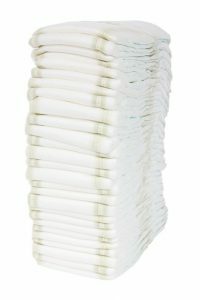 You will not believe the number of diapers you need for your precious little one. Click below to save 30% on diapers. You also get coupons and deals for everything related to the family. You will love the savings. Don’t miss out. Nothing worked, we went to a specialist. A Pediatric GI doctor. We switched to a sensitive formula to help him. I was breastfeeding and using a sensitive formula. After weeks still no improvement in sleeping or keeping his food down. Then I saw something that scared me. There was a red line in his stool. There was blood in his stool. What was wrong? What is happening to my baby? I had no idea. We went to the doctor the next morning. The doctor said it’s possible that he has a Milk Protein Allergy. They had to test the stool. So continue feeding my son breast milk and sensitive formula until we get 2 poop diapers tested. The test came back and he was allergic to milk. I stopped breastfeeding at this point and used only a sensitive formula. The formula did not help or change anything. Sleeping did not get better, and he was still spitting up heavily and still tested positive for blood in his stool. Back to the doctor, we go. My poor baby going through all this. Changed the formula again. We changed the formula 3 times before being put on ELECARE. Elecare is an amino acid based formula that doesn’t contain milk products. This is a special formula used when a child has a milk allergy. Finally, relief. 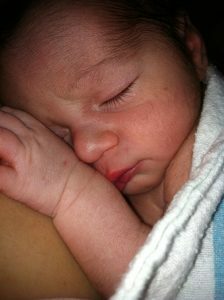 He started eating better, restful sleeping, no longer choking and spitting up after every feeding. My baby was happy and so was I. Here is a list of what to look for and ask when dealing with a Milk Allergy. Sign up below to grab your printable planner. You can write down how much your baby ate and on which side you stopped feeding. Keep track of your babies nighttime wakings. When you are sleep deprived and unsure what day it is you need to be able to write it all down. 1. Babies can have reflux without milk allergy, but it is also an early sign. 4. Keep a journal of feedings and sleep time. Record anything that continually happens or anything out of the norm. 5. When a baby has a milk allergy they can’t have any milk. That means either a specific formula or if Breastfeeding the mother completely goes off ALL DIARY. The mother would have to give up all dairy to see if the baby can handle that. To do this though, there is a period of a few weeks where you can’t feed till you cleanse your body of all DIARY. There is no cheating either cause that will affect your baby. I used the special formula. 7. If your child was tested and has a milk protein allergy many insurance companies will cover the cost for the special formula. If they don’t pay for the whole cost, they may pay a percent. This is not a formula you can buy at the local drug store. The formula has to be prescribed. If your insurance doesn’t want to cover it have your doctor write a letter as to why this is so important. That sometimes helps. 8. Try not to be too hard on yourself. As new mothers, we all try our best and that’s all we can do. It’s disappointing when you have a plan for you and your baby and it doesn’t work out. This is key. Remember this. You’re doing your best I know it. 9. Milk allergy is common among infants and toddlers. It affects about 2.5 percent of those under 3 years old. 10. Many children outgrow this allergy. By age 1 to 1 ½ years old 50% of children will outgrow a milk allergy. 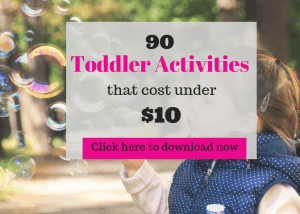 By age 3-5 years old 80% of children outgrow it. 11. Talk to other parents that have gone through it to help with support. Feel free to comment below or write to me. I’d be happy to talk to you. It’s hard to see your baby suffering. The stages when you are waiting for trial and error to figure everything out is the worst. Find comfort in knowing you are not alone and you will get through it. Babies are resilient and will be ok. Hope these tips on dealing with a milk allergy help you. Good Luck Momma! Tell me what you did to deal with a Milk Allergy in your little one. Can you outgrow a milk allergy? This is probably one of your first questions. I know it was something I thought about. 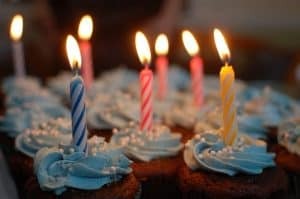 Many children outgrow this allergy by their first birthday. It is reported that 80% outgrow a milk protein allergy by age 3. You will be adviced to not introduce dairy into your child diet until 1 year. Many babies start having dairy ( yogurt, cheese) around 7months. You will hold off on dairy foods at this age. When your doctor says to try dairy, you will start with yogurt or cheese, not milk. Watch for any differences. If may be clearly noticeable like a rash or diarrhea, but it could also be crying at night being uncomfortable. Keep a notebook of when you introduced the new food and any differences you notice. Once your child can handle some dairy you may be able to introduce milk. This is a slow process. You can’t just switch out the formula for milk. You will mix regular milk with the formula they are currently having. Slowly you will continue to add more parts milk and less formula until it’s all milk. If your baby has made it to this point, Congratulations now your baby can have whole milk. 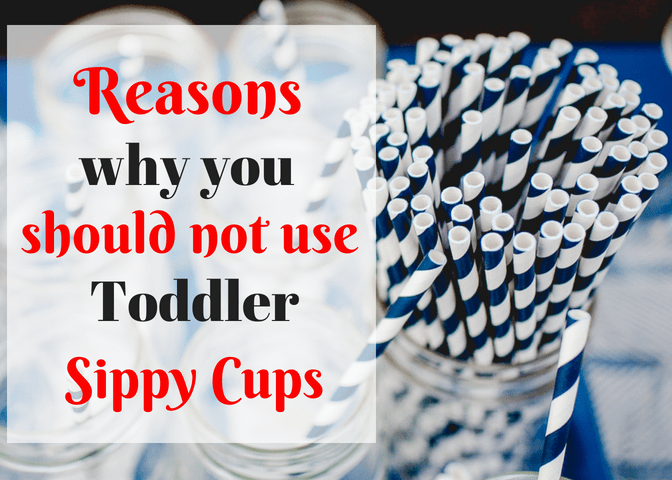 Now that your baby is a year old you would want to read Reasons not to use Toddler Sippy Cups. Make the transition from bottle to straw or cup. Learn more about the benefits of a straw. Are you loving this post? Be sure to Pin Me for later and save to your favorite Pinterest Board. Thank you so much! Babies having a Milk Allergy is more common than I thought. It’s difficult to know what to do when your baby has a Milk Allergy. Many people don’t know the signs or how to deal with a Milk Allergy in Babies. 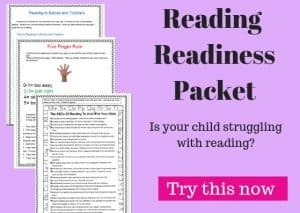 I hope this article helps other families struggling to know what’s wrong with their little one. Feel free to share with anyone you think it might help. Wow, your post reminded me of my early days with my firstborn. I feel your pain and the poor baby who had to go through this but I m so amazed that this little bundle of love are so strong and resilient. My baby was colic and I had no idea about it until three months later, tough time, sleepless night. I’m glad that you guys figure it out and your baby is sleeping normal and eating well, what more a mother want?? God Bless you & your family. Thank you so much. It was such a difficult time. It was my second, I had no idea what was going on. It was so hard to see him struggle. I hope that others read this and it helps them to know How to Deal with a Milk Allergy in Babies. All a mother wants is to help their child. At first, everyone just said it was reflux, but it was much more than that. Luckily, he is fine now and eating and drinking milk. 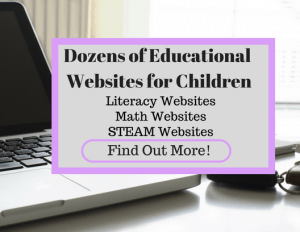 Very informative blog post! I didn’t know that babies could be allergic to breast milk. It’s great that you share this information to create more awareness around this issue. 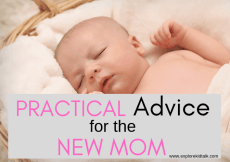 Hopefully it can help more new moms! The milk allergy is something that isn’t talked about a lot even though it’s more common than I thought. Thank you for taking the time to read and share with other mother’s. Tips on how to deal with a milk allergy could really help other mother’s going through the same thing. I have been dairy free for a full week. We have even been watching and reading for hidden milk ingredients. We reintroduced breastmilk and after 24 ounces we saw specs of red blood again. The doctor did say to wait a full two weeks after going dairy free. Should I go back to our similac alumentum for another week? I hate to put my son through the allergen test but I really want to know if its specifically a milk allergy. What would you recommend. It is interesting about insurance possibly paying for our formula. I’m sorry that you and your son are going through this. It’s so hard to see our little ones struggle. Since you mentioned that you have another formula to use, I would really suggest that you use that until it’s been over 2 weeks. Milk will take 2 weeks to get completely out of your system. You have to remember that even if you have just a tiny amount of milk it’s multiplied in your son. You son only weighs a few pounds and his stomach is a little bigger than an egg. He can’t tolerate any milk. I give you credit for trying to go dairy free. It’s not easy. I would also recommend a food diary that you keep on you or in the kitchen to write down what you eat. That way you can keep track and make sure no dairy was hidden in the food. You can also introduce your milk to him gradually. Mix your milk with the formula so it’s not a huge change all at once. If you want to go back to breastfeeding, make sure to continue to pump over these 2 weeks so that your milk supply doesn’t go down or stop. Unfortunately, you can’t use any of that breast milk. If you choose later to only use formula I want you to know that’s OK. Don’t be hard on yourself. By using formula you will know exactly what your son is having and it should get rid of any complications.